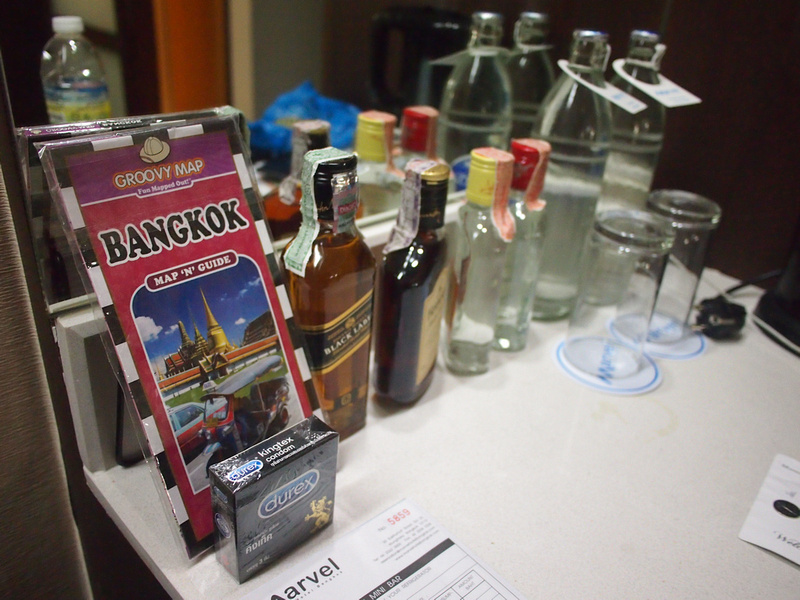 I stayed at the Marvel Hotel Bangkok which I booked online via Agoda. 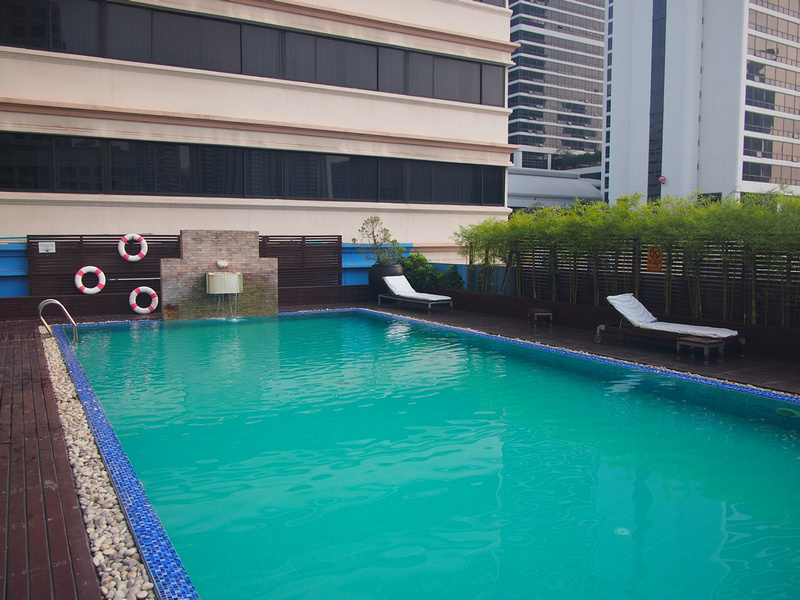 I booked it for its price and location in the Sukhumvit area. This booking was one of those ridiculous deals that Agoda sometimes returns. There are over 1700 hotels listed in Bangkok so there is always going to be a random deal going on somewhere. 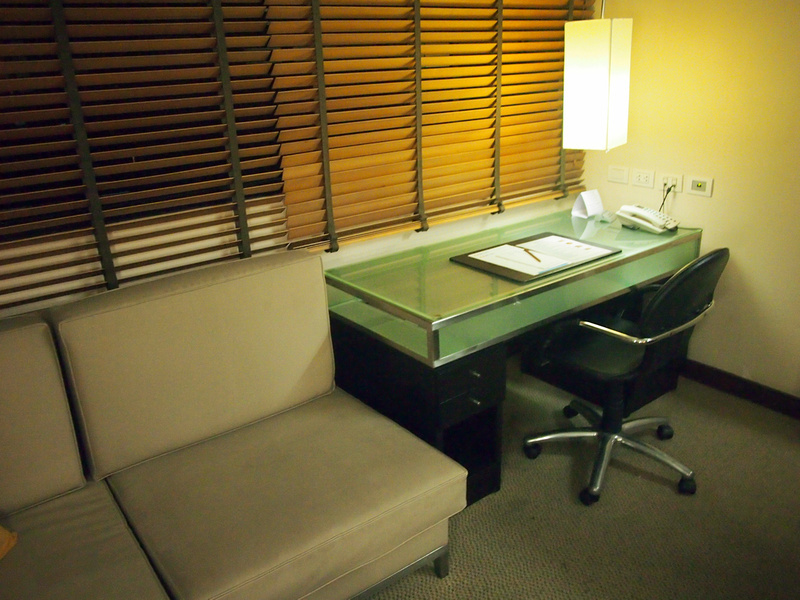 In this case I did a search for 4 Star hotels and sorted by price, and found this one for $17.70 USD for one night. If you search for it now this deal probably wont come up again, but I see similar good deals for 4/5 Star hotels in Bangkok so it is worth a try. 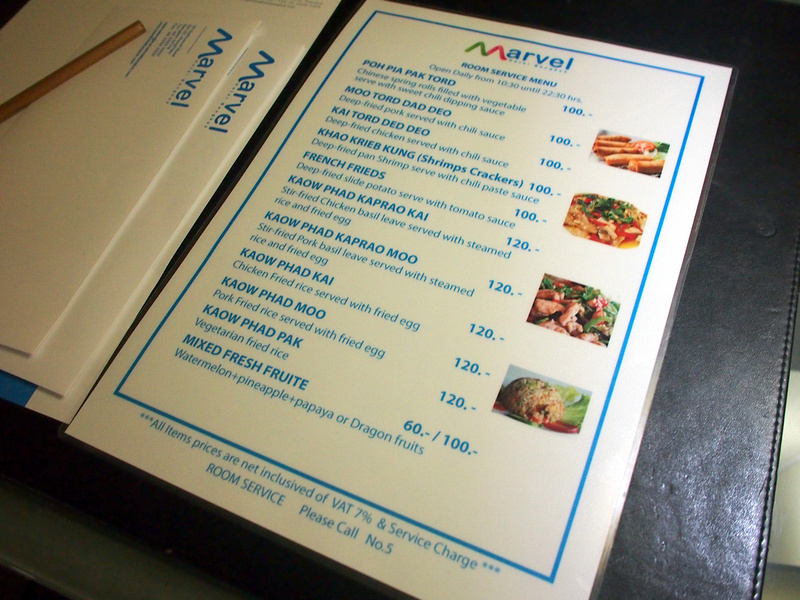 The Marvel Hotel Bangkok (formerly the Grand Mercure Park Avenue Hotel) is located on Sukhumvit Soi 22, which is a popular tourist street filled with hotels. I’m familiar with the area and places to eat around here, and it is good for public transport, being near to the BTS/MRT trains. My bed was soft and comfortable and the size of the room was ideal. The bathroom tiling made it look a bit dated but it was fully functioning otherwise. 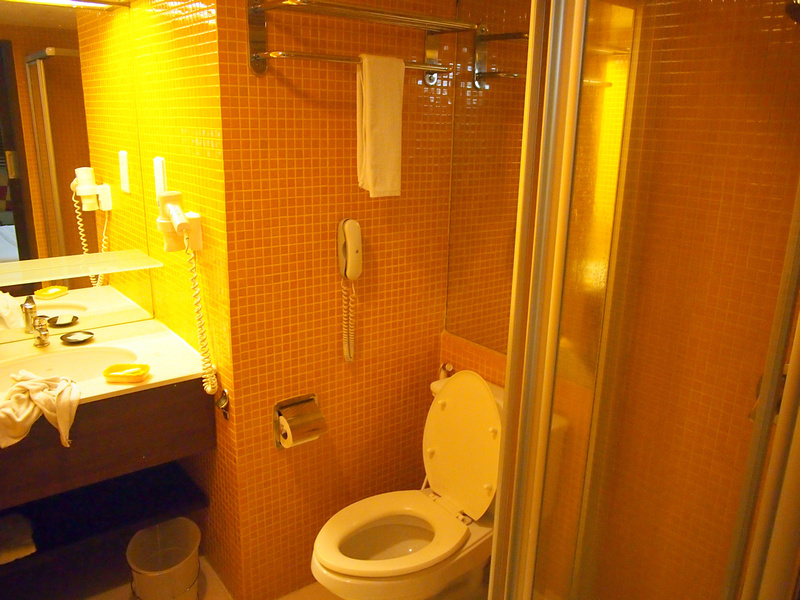 I noticed on one of the Agoda reviews that someone complained about towels not being placed in the room. I arrived at midnight and found that there were no towels in my room either. I couldn’t be bothered calling room service so I used a small body towel. Later I found that the towels were stored in the drawer under the TV, which was an odd place to be storing them. The window wall with a work desk and couch. Good wifi in my room, with no problem dropping out or the signal not reaching the room. Free water bottles mingling with the minibar drinks, along with maps and condoms for sale. There is a selection of reasonably priced (for a hotel) Thai food on offer on the room service menu. I arrived too late so I didn’t try it. There is a pool and fitness centre as well. 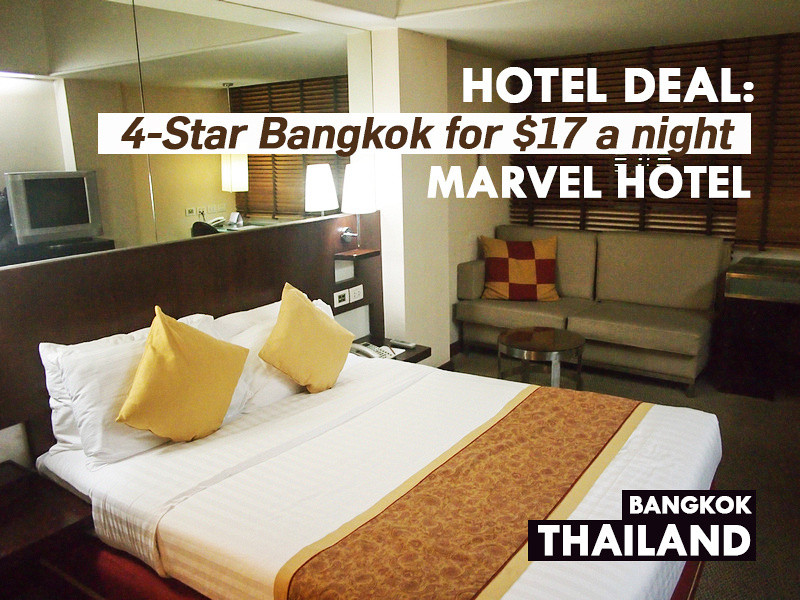 Book the Marvel Hotel Bangkok online or search for more Bangkok hotels. If you’ve never been to Bangkok here is a guide to picking the best areas to stay in Bangkok.